a custom acrylic panel that fits into an existing interior window frame. 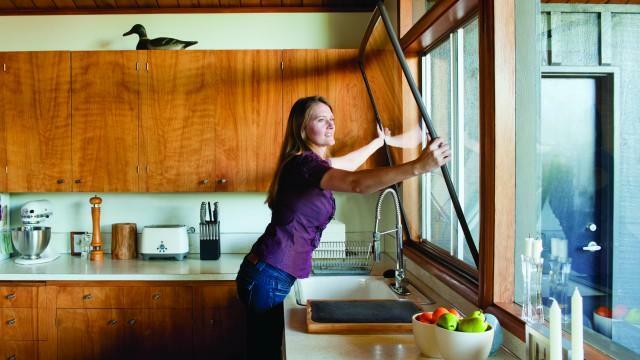 The panels are made in Portland, and they help reduce noise and energy loss by about 20 percent for a typical Seattle home, according to the U.S. Department of Energy. That’s comparable to a high-end replacement window. The only catch: you can’t open your windows unless you pop out the inserts. But even that is a cinch.